It's been a busy week for West Yorkshire Police's traffic officers. Some of the incidents officers have tackled include a stolen car which burst into flames, resulting in arrests, and a lime green Lamborghini being seized. Police said the occupants of this car were 'very lucky' to get out of this. The accident happened in Barnsley Road Wakefield. 'Officers added: "The occupants were very lucky and got out of this. Be extra careful in these dark, wet months"
It all happened in Wakefield this week. 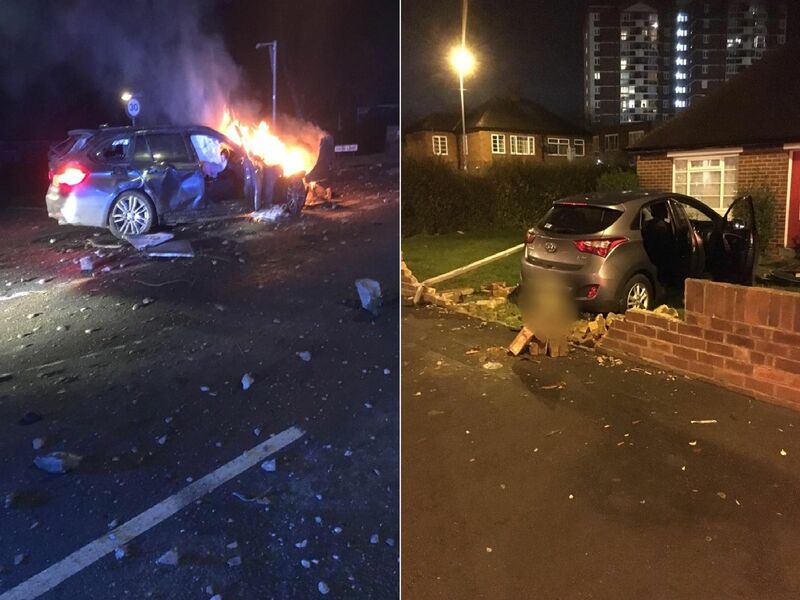 A car smashed into a garden wall and at least two were arrested. 'Police said: "What a very busy afternoon yesterday, only just putting an update on now. Lots of RTCs all over and people arrested. This one in Wakefield, nobody injured but its going to need a builder & gardener to help fix this"
Brighouse: Vehicle initially failed to stop for officers but then decided to stop and was found to be on false number plates. Driver reported and vehicle seized.